Home / FAQ / What is indemnity health insurance? Indemnity health insurance is a form of health insurance that lets you choose any medical provider you want. The bill for the medical service is then sent to the insurance provider by either the doctor’s office or the insured and the insurance provider pays for the majority of the bill. You can compare health insurance rates for your area now by entering your ZIP in the box! This type of health insurance is also commonly known as a fee for service health insurance plan. Like most insurance policies, an indemnity plan will most likely have a deductible that must be reached each year for the policy to start covering medical costs. The amount of the deductible depends on the insurance provider. How are medical costs paid with an indemnity health insurance plan? Most indemnity health insurance plans cover 80% of the policyholder’s insurance costs once the deductible is met. For routine care such as an annual checkup, the policyholder will pay a small co-pay and the policy will cover the rest. If for some reason, the policyholder’s medical care provider charges more than average for this type of routine care the policyholder will have to pay the extra amount. 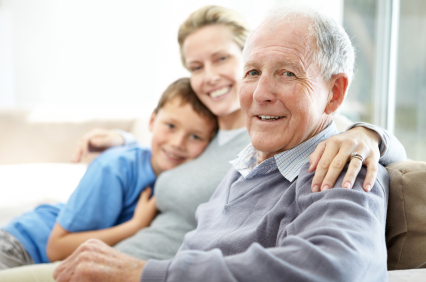 Indemnity health insurance plans usually have a feature known as an out-of-pocket maximum. This means that there is a maximum amount that policyholders are expected to pay themselves. Once this maximum amount is reached, the insurance should cover all the costs for the remainder of that year. This type of insurance policy also has something known as a lifetime limit. A lifetime limit is a maximum amount that the insurer is willing to pay for the policyholder’s healthcare over the life of the policy. Someone with this type of health insurance plan should make sure that if there is a lifetime limit on their policy it is at least one million dollars. One million dollars may seem like more than enough for a lifetime limit, but you never know what the future holds where health is concerned. Even if you have always been a healthy person the care for an accident or a major illness, like cancer, can quickly exceed the lifetime limit. In the case of cancer, sites like Cancer.gov offer great advice on how to navigate the confusing insurance waters while also dealing with the disease. What are the drawbacks to an indemnity health insurance plan? While most people like the idea of being able to go whichever doctor they choose, as an indemnity plan allows, there are many aspects with this plan that can be considered negative. These plans tend to be more expensive than an HMO of PPO health insurance plan. In addition, some indemnity plans require the policyholder to pay all of the healthcare costs up front and then submit an insurance claims form to be reimbursed by the insurer. Even though the policyholder will get the majority of their money back, most people do not have the money available to pay up front directly. What are the two other types of health insurance plans? The two other forms of health insurance plans that most people are familiar with are HMO and PPO plans. These plans both have their advantages and disadvantages. HMO stands for Health Maintenance Organization and is a very common health insurance plan offered by employers. With an HMO, the policyholder must choose their healthcare provider from an approved network. This type of plan is usually very inexpensive for the policyholder. The main drawback to an HMO plan is that the policyholder cannot go to any doctor they want. If the policyholder does go outside of the approved HMO network for care, their medical costs will probably not be covered. If for some reason the policyholder needs to go to a specialist, they must first be referred by a network-approved doctor who deems the specialist absolutely necessary. A PPO, or Preferred Provider Organization, plan works much like an HMO except that it allows the policyholder to go to any doctor they want. A PPO has an approved network of doctors just like an HMO, but the policyholder is free to go outside of the network. If the policyholder does go outside of the network, their medical costs will still be covered by their insurance plan, but the insurance provider may not pay as much for this care than they would if the policyholder had chosen an in-network doctor. For a free health insurance quote comparison type in your ZIP!